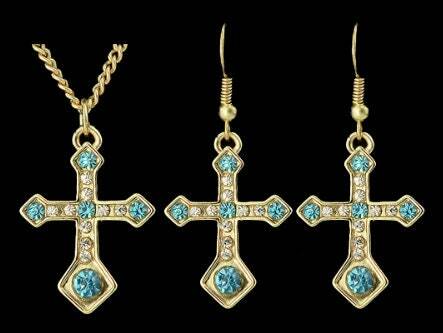 You get 4 sets for your Bridesmaids for just 19.99. Just $5 per set. 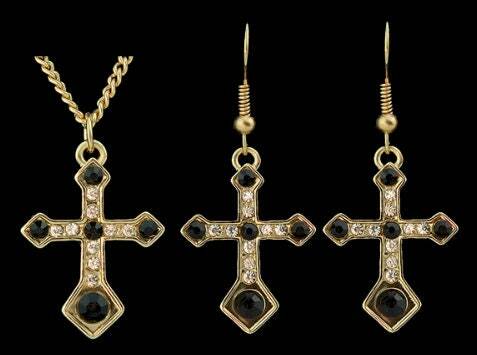 Vintage Elegant Style Cross Jewelry 2 Piece Necklace and Earring Set. 2 Blue/Green Crystals and 2 Black Crystals. Cross measures 3/4” wide x 1” long. 20” chain. 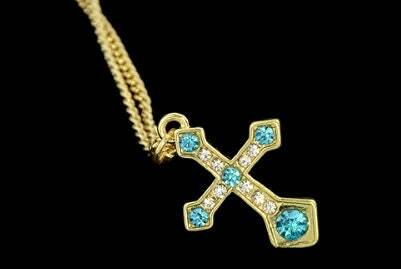 Cross Pendant, Drop Earring and link chain.